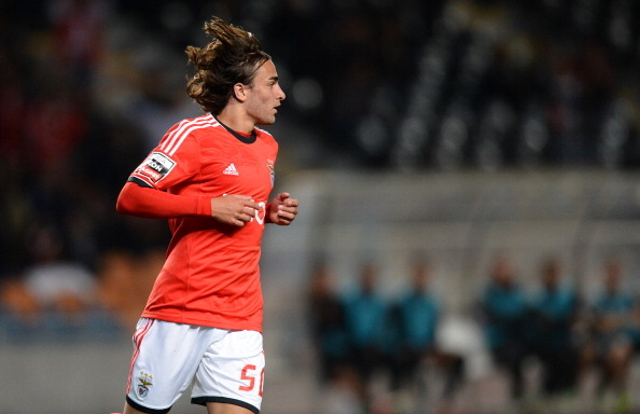 Liverpool are set to make their move for Serbian forward Lazar Markovic from Benfica. Liverpool manager Brendan Rodgers is turning up the heat in the transfer market, with Serbian forward Lazar Markovic set to follow Adam Lallana, who is reported to be having a medical at the club, into Anfield, according to reports from the Daily Express. The 20 year-old former Partizan Belgrade winger is rated as one of Europe’s most exciting attacking talents and would set back the Reds somewhere in the region of £25 million if they are to prise him away from the Estadio de Luz. Markovic has spent just one season in Portuguese football since arriving from Partizan, but his performances have been of a sufficient standard to persuade Rodgers to consider parting with such a significant sum. With Lallana set to arrive and a move for Belgian striker Divock Origi from Lille also mooted, Rodgers appears to be reacting to the Luis Suarez ban with decisive action in the transfer market to strengthen his attacking options. It could also hint at a possible exit for the Uruguayan, with Rodgers yet to turn his attentions to the vital defensive area that arguably cost his side the title last season. If Lallana and Markovic do arrive, then with Raheem Sterling and Daniel Sturridge already at the club, Liverpool’s potent mix of skill and pace will make them a tough proposition next season.